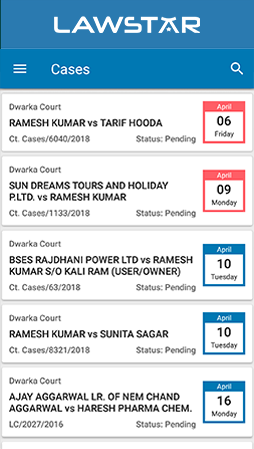 Manage your practice with live updates on cases across every court in India. Get a bird’s eye view of all your cases at once and avoid date conflicts. 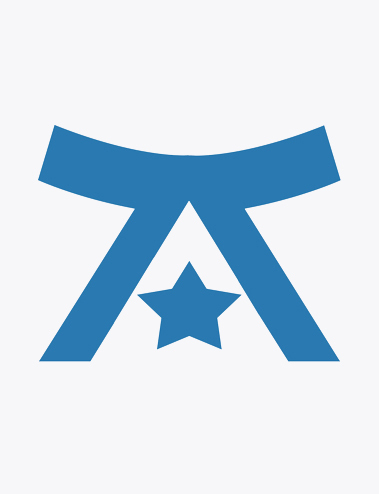 LawStar not only reminds you of upcoming dates but seamlessly integrates into the calendar of your mobile. Keep all your data secure at LawStar. It protects your data on web servers through world class encryption technology. In 4 easy steps, LawStar will be ready to automate your legal practice. Download the app on your Android Device or iPhone. Sign up or Login with with your mobile number. Enter your filing name or case number to find your cases and save them in your case list. LawStar is all set to assist you and ace your practice. A simple customizable application to allow smooth user experience. Get live Court Display Board data from the Supreme Court & High Courts of India. Automatically updates your court diary for every case with orders, judgments and hearing dates. Get automatic alerts on upcoming court dates to manage your calendar. Creates your personalized cause list with all your scheduled appearances across all courts in India. Update clients about cases and meetings through automated notifications. Add a list of your Associates and link cases to them. Great Application for lawyers! Always keeps me updated on my cases. Verifies my cases with the causelist, notifies me about orders & manages all my cases at one place. A boon for any litigator. No more juggling through pages while taking a date. Easy to use interface and extremely smooth practice management. How does LawStar track my cases? LawStar with it's easy to use interface allows you to add all your cases seemlessly into your case list. 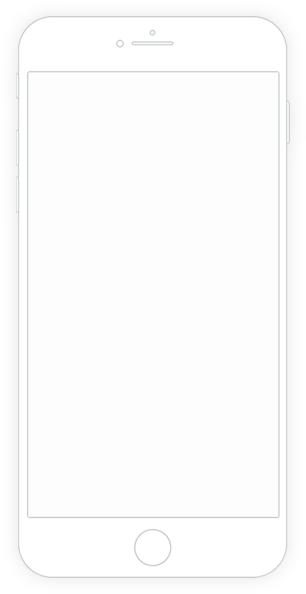 It marks your next date of hearing on the calendar and with prompt notifications helps you plan dates and manage your cases. Will I be charged for using LawStar? Would there be any hidden charges later? 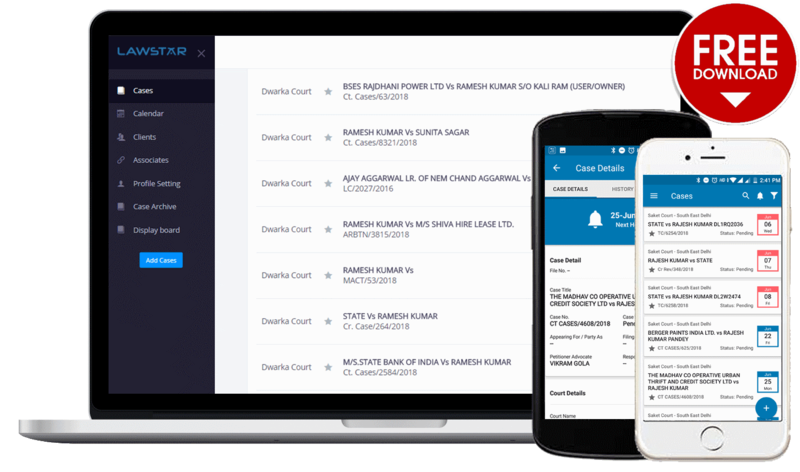 The LawStar app is completely free for Individual Advocates, Law Students and Individuals having cases across various courts in India. We have no hidden charges. How many courts does LawStar cover? LawStar covers Supreme Court of India, Delhi High Court, all District Courts & all Consumer Courts across most cities in India. A number of High Courts and Tribunals will be added soon. How will I be notified about my cases? Do I need to keep checking the application ? LawStar's intelligent case management and update system keeps checking on your cases for any new information. So be it next hearing date, verification from causelist or a new order or judgement, We will notify you with a simple notification and an email. Like what we do here? 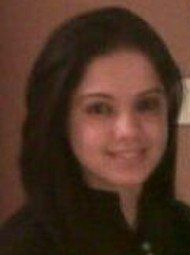 Wish to be a part of the change? 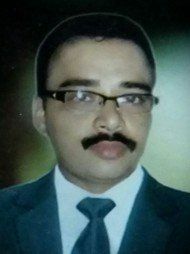 Connect to us and we could completely change the way lawyers work in India! @ 2017 PAPA Consultancy Pvt. Ltd. All right reserved.